Ms. Foray began her remarkable 85-year career playing an elderly woman in a radio drama in 1929 at age 12. She portrayed scores of radio characters in the 1930s and ’40s. Over the next 60 years, she provided voices for animated shorts, feature films and television shows, as well as record albums, video games, even talking toys. Her last performance was as Rocky in a 2014 Rocky and Bullwinkle cartoon produced by DreamWorks Animation. Often compared to Mel Blanc, the cartoon virtuoso who supplied the voices of Bugs Bunny, Daffy Duck and Porky Pig, Ms. 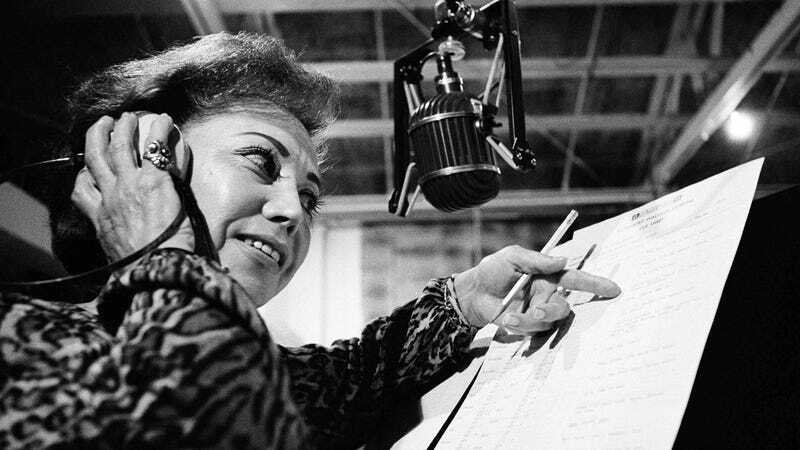 Foray cackled, chirped, meowed and sometimes sang her way through nearly 300 animated productions, often playing several parts at once with quick shifts of accent, dialect and personality. Hence her ability to serve as both Rocky and Natasha, who until this very afternoon I had no inkling were the same woman. Oh, and she was Dudley Do-Right’s girlfriend Nell Fenwick, the evil cat Lucifer in Cinderella, the memorably murderous “Talky Tina” doll in the scariest Twilight Zone episode, and freaking Cindy-Lou Who in How the Grinch Stole Christmas. Farewell to a legend whose voice I can’t help but hear literally every time I read a headline about the Trump campaign.